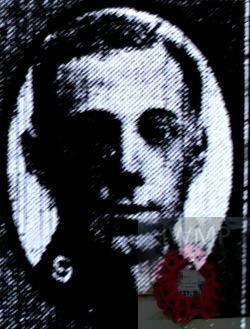 Died: 23rd September 1918; age 27; KiA. Employed: in the Surveyor’s Office, Town Hall, Felixstowe, Suffolk. Enlistment Location: Saxmundham, Suffolk; Date: November 1914. Service: Suffolk Cyclists – Coast Patrol. Sent to France July 1916 attached to the Suffolk Regiment – transferred to the Cambridgeshire Regiment. Rank: Lance Corporal; Service Number: 43124. Regiment: Cambridgeshire Regiment, ‘B’ Coy, 1st Battalion. Relatives Notified & Address: Husband of Mrs E.E. Dow, of Shotley Gate, Ipswich. 1901 11, Friary Street, Guildford St. Mary, Surrey. Frederick was 9 years old and living with his mother, sister & stepfather. Robert Herbert Skitter, 52, a Dairyman – own account, born Halstead, Essex. Louisa Skitter (nee Watling), 36, born Yoxford, Suffolk. Esther Louisa Dow, 11, born Halstead. 1911 1, Kelham Villas, Newark on Trent, Nottinghamshire. Frederick was 19 years old, a Builder’s Clerk. He was a boarder at the home of 38 year old widow, Ada Pinder, a Boarding Housekeeper. Frederick’s father was Frederick William Dow, born 1860, Halesworth, Suffolk – died 1893, Halstead, Essex. Frederick’s mother Louisa Skitter died 1911, Ipswich. The Skitter/Dow family were living at 73, York Road, Ipswich. In 1915, Ipswich, Frederick married Emma Elizabeth Curtis, born 1891, Ipswich. Frederick is also remembered on the war memorial at Felixstowe, Suffolk.